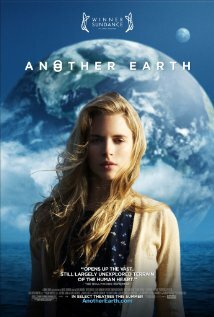 I commend Brit Marling, the star of this movie. Apparently she's been trying to break into acting, but couldn't get cast in anything of substance, so she wrote this movie and cast herself in it. Talk about a go-getter. So that's sort of the best part about the movie. My main complaint is that it's billed as a sci-fi movie. I remember seeing a trailer and being really excited to watch this, since it made the movie out to be this story of a parallel universe exactly like Earth somewhere else. Sadly, it was just an allegory to reveal inner reflections of life and whatnot. Once you get past the fact that you don't actually get to watch this parallel existence, the movie isn't terrible, just a bit predictable. It is movies like this that make me question why people are so crazy about indie movies. What is it about them that makes them more enjoyable than mainstream Hollywood movies? Is it just a hippie knee-jerk reaction to the man? Are these the same people who complain that underground bands "sell out" when they get a real record deal? As if making money and achieving fame isn't the goal of every sane person who pursues music full time? The movie is fine - it's just nothing new or special. The themes aren't new, the plot isn't particularly noteworthy (especially since it eliminated the potentially coolest part of the movie) and the acting is average. And the whole movie follows that "we don't need words" indie theme of making a movie almost entirely silent. But as much as I hate on indie movies (and the people who swear by them), I have seen much worse. I wasn't completely bored throughout and the actors were able to effectively convey emotions without dialogue, so I suppose that's a triumph in it of itself. If only the guy the movie didn't look like an ugly version of Roger Federer. Except this guy isn't being recruited for awkward Gillette commercials with Tiger Woods and Derek Jeter. Final word: At a film festival filled with pretentious arty films, this would be a pleasant surprise. At home on a Saturday date night, this would be significantly less pleasant.